← I WAIL, I HAIL! 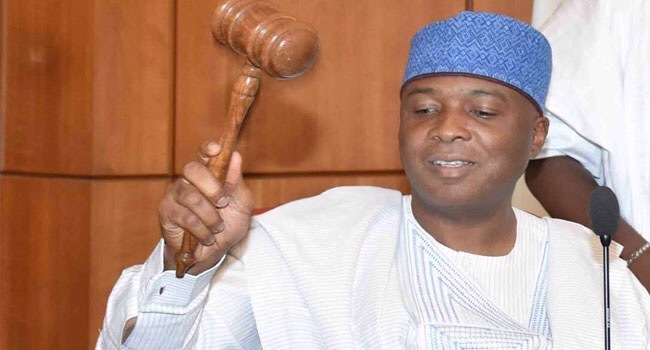 The daily trial of Sen. Saraki at the Code of Conduct Tribunal (CCT), as ordered by Justice Danladi Yakubu Umar, is good for the defendant and the prosecutor. Alacritous adjudication will allow Nigerians to move to other things. This matter is fast decaying; having spent precious time on the culpability or otherwise of the defendant. And whatever the outcome, it is going to be a defining step in the anti-corruption stance of President Buhari. Safe Chief Bode George and few other prebendal public office holders – whose soiled kleptomanic hands have found their ways into our commonwealth – and who paid (albeit very minutely) for their crimes – big theives usually go on to enjoy their loot. It is also going to tell on the integrity of the judiciary. People have always argued that this essential arm of government is fast becoming decadent. (Sanctioning reprehensible injunctions that frustrate justice is a sin that is is very common in our courtrooms. A justice delayed is a justice denied, they say. But that is exactly what operates in our judicial system. Delayed justice is common. Some trials have been on for almost a decade with injunctions upon injunctions. Even this particular case has been frustrated so many times). Of course, Senator Bukola Saraki is innocent until proven guilty but every big gun is always never found guilty in this clime. Even when a big man is found guilty our judicial system has a way of making them go free with just a slap on the wrist: plea bargaining is one of the ways to create subtle soft landing for them to evade justice. Steal big (or commit huge crime) and you’re home free. Steal a mobile phone — or commit burglary — and you could end up spending up to a decade in the gulag. Or have appointment with the guillotine). The system is rigged for the nouveau riche. A nouveau pauvre is doomed. One way or the other, the discourse on this trial will reverberate for a very long time. We all wait as the trial unfolds.